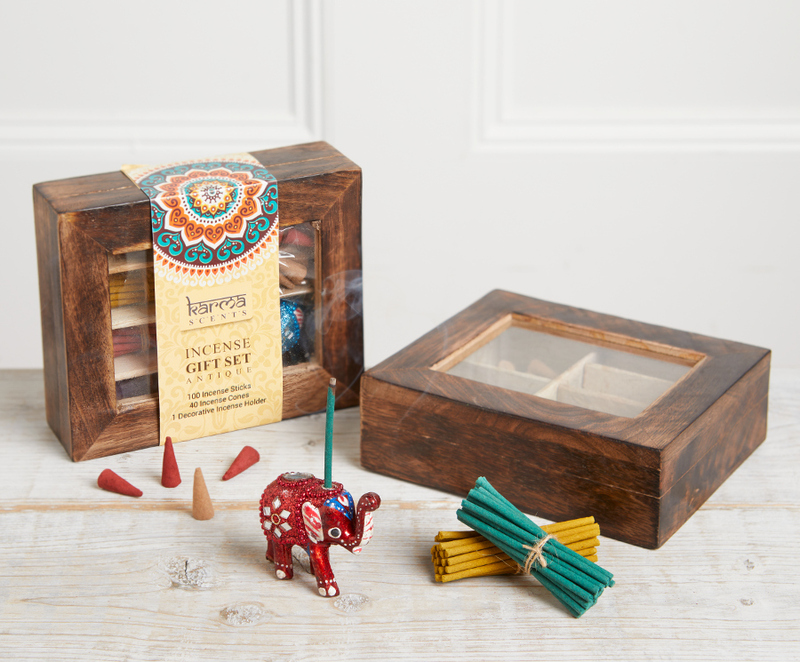 This hand carved mango wood incense gift box contains different 100 incense sticks and 40 cones along with a decorative elephant shaped holder. 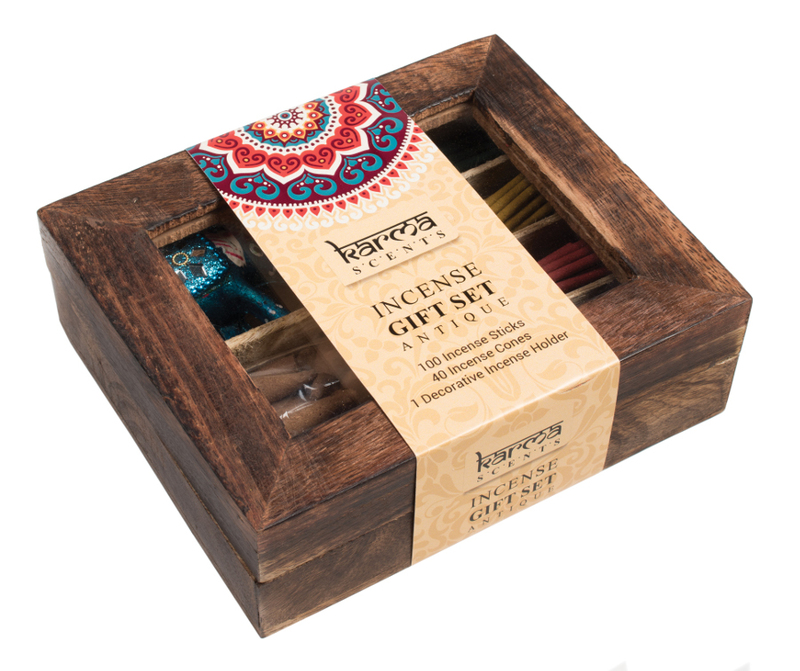 The fair trade incense gift box is the perfect present or treat for yourself. 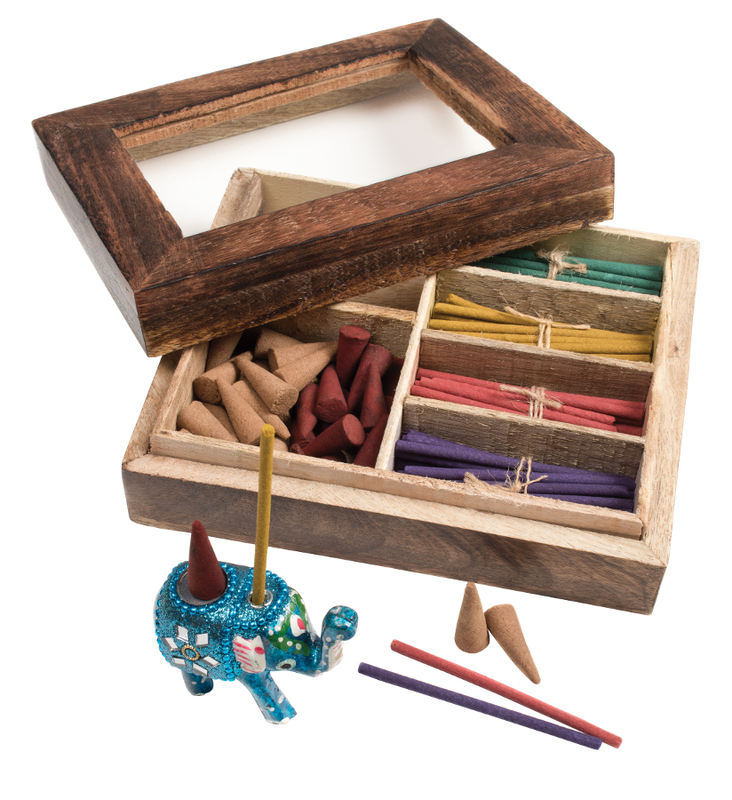 Please note the elephant shaped holder comes in assorted colours, we cannot guarantee which colour you will receive. 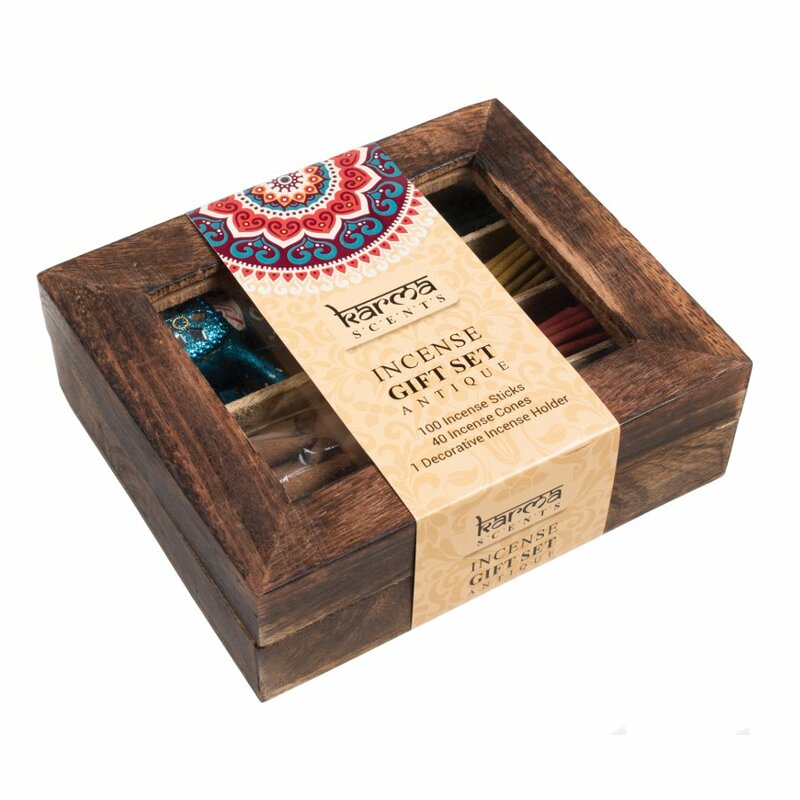 The incense and box are handmade in India by established fair trade producers who provide full time employment to 35 workers. WARNING: To prevent fire or serious injury burn incense within sight. Keep away from drafts and vibrations. Keep out of reach of children and pets. Never burn candle on or near anything that can catch fire. 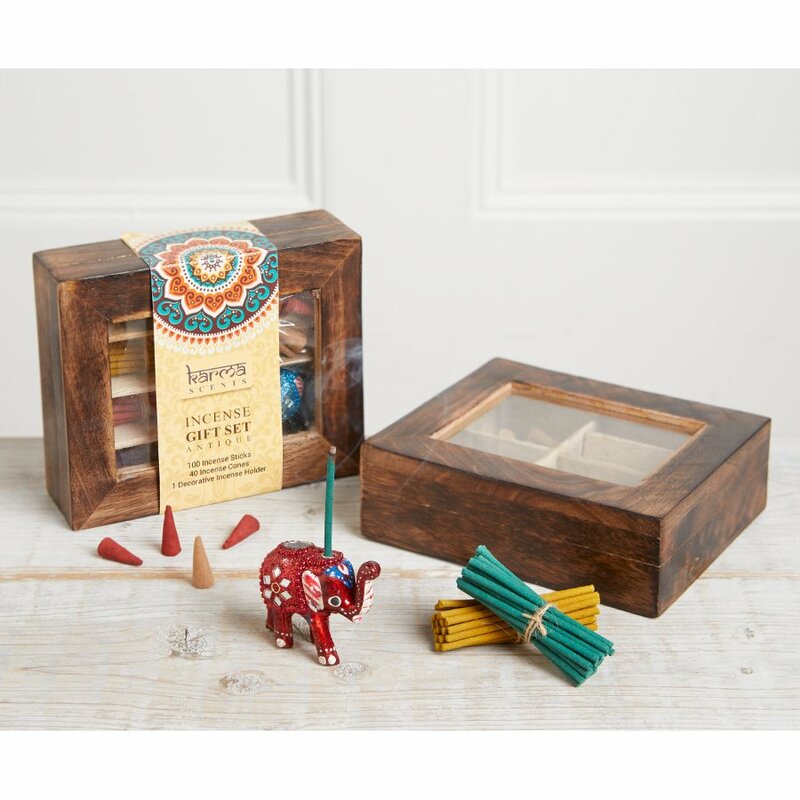 The Incense Gift Box with Elephant Holder product ethics are indicated below. To learn more about these product ethics and to see related products, follow the links below. 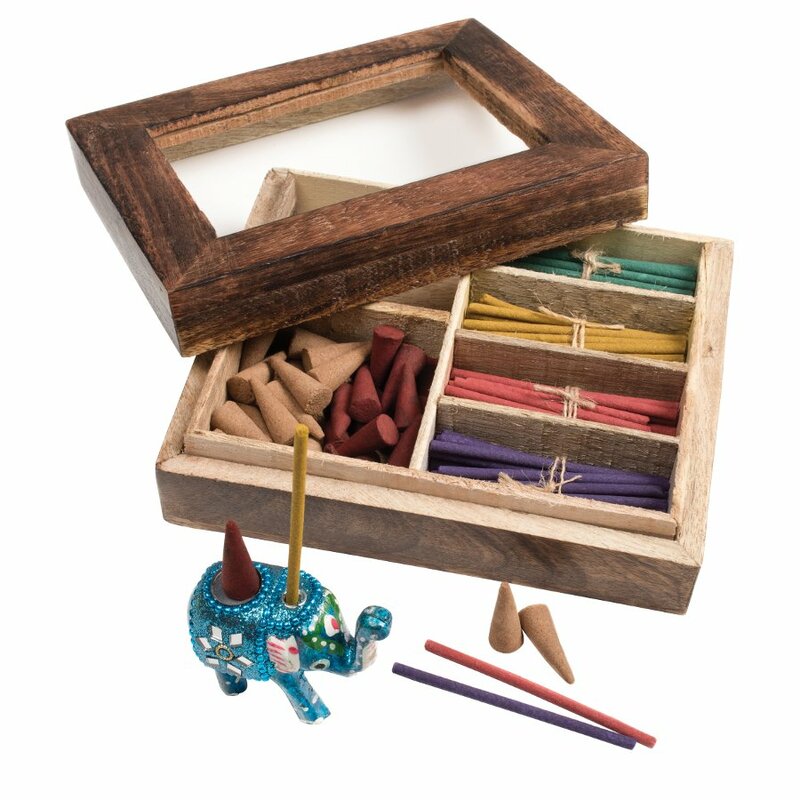 There are currently no questions to display about Incense Gift Box with Elephant Holder.